For the fastest, most powerful performance gains, equip a Mopar Cold Air Intake System. Delivering amazing engine airflow, great engine style, and an easy installation, you won't find a better intake system for such affordable pricing. To guarantee your engine the best filtration and airflow, each intake system includes a one-piece air filter made of four-layer cotton-gauze. 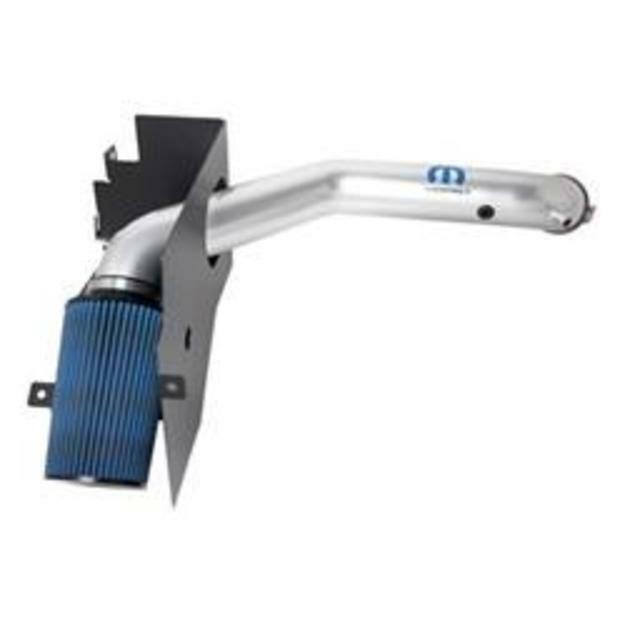 Using only basic hand tools, the Mopar Cold Air Intake System attaches quickly and firmly. All installation hardware and instructions are included. The Mopar Cold Air Intake System is one of the most affordable ways to beef up your engine performance. Delivering noticeable gains in both horsepower and torque just after it's equipped, you won't be disappointed in the quality Mopar brings to their performance products.